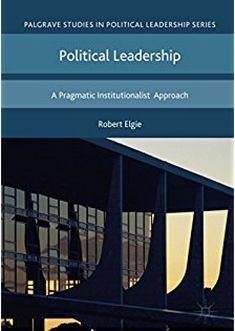 There is an increasing literature about the presidentialization and/or personalisation of political leaders. This thesis is often applied to prime ministers. However, it has also been applied to presidents too. For example, Thomas Poguntke and Paul Webb’s book, The Presidentialization of Politics. A Comparative Study of Modern Democracies, includes a number of chapters on countries where the president is the main political figure. One of the common proxies for the presidentialization of prime ministerial leadership is the introduction of party leaders’ debates before general elections. The 2010 leadership debate in Britain is a good example here. The logic is that leaders’ debates resemble presidential debates in the US. While parliamentary regimes have gradually introduced leaders’ debates, it’s also the case that they are a relatively new phenomenon in many countries with directly elected presidents. After all, while the first presidential debate in the US occurred in 1960, the second was as recent as 1976. So, if we understand presidentialization in this way, how common are presidential debates outside the US and when were they first introduced? It is more difficult to get information on this topic than it might appear. So, this post sticks to a selection of European countries with directly elected presidents. Even here, information is difficult to come by. Below is a list of countries and an attempt to identify when presidential debates have been held in the context of a presidential election campaign. Almost certainly, there are errors. I would be happy to hear from country experts to set the record straight. The format of the debates varies across countries. For example, France only has a debate before the second round of the election, so with just two candidates. However, other countries have debates prior to the first round with many candidates. In some countries, certain candidates refuse to appear, even though the remaining candidates do debate. Similarly, even if countries started to hold them, in some cases they have not always been held at every election, e.g. Poland and France. If you have further information, then please leave a comment. This entry was posted in Televised presidential debates and tagged presidential election, TV debates on May 6, 2014 by Robert Elgie.